Introducing all-new, all-Australian MiApple® Apple. 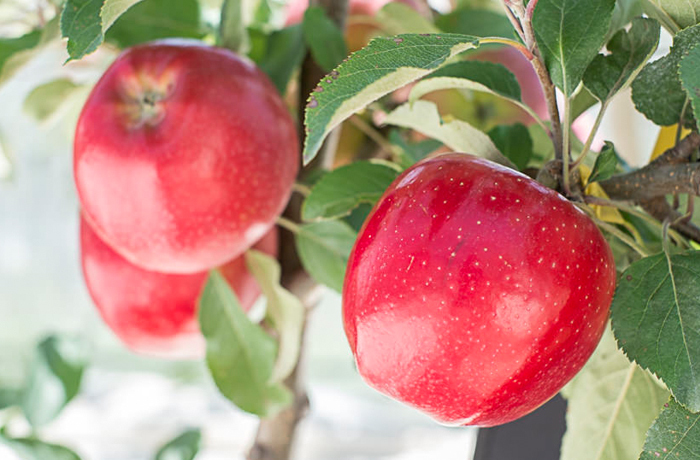 Early-ripener MiApple® Apple will open seasons with a splash. Looks and tastes delicious, with block-red skin, rounded form, crisp dense flesh & a refreshing burst of flavour.